HMH Books for Young Readers, 9780152059279, 40pp. 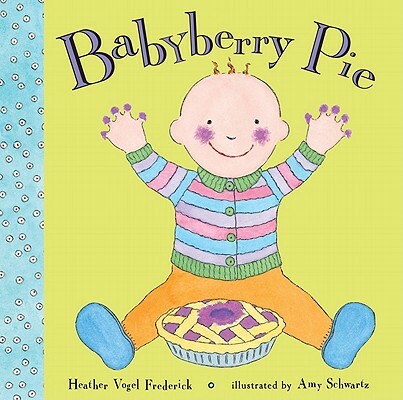 How do you bake a babyberry pie? Pick one wiggly baby from the babyberry tree. Pop him in the tub and scrub clean. Add sugar to his nose and toes. Tuck him into a warm pie crust. And don’t forget a kiss goodnight! Heather Vogel Frederick is the author of Oregon Book Award winner The Voyage of Patience Goodspeed, the Mother-Daughter Book Club novels, and Babyberry Pie. AMY SCHWARTZ has written and illustrated many popular, award-winning books for children. She lives with her husband and son in Brooklyn, New York.